As part of our uberPOOL launch, we invited 3 members of Boston’s tech community to try it out first. David Chang, former COO of PayPal and currently an Entrepreneur in Residence at Harvard Business School, joined Tom Hopcroft, President & CEO of the Mass Technology Leadership Council, as 2 of the first Bostonians to share a ride using the new carpool option. 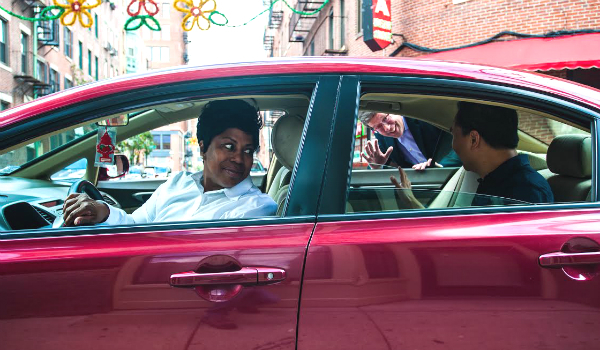 Tom Hopcroft waves goodbye to David Chang after they take uberPOOL for a spin in Boston. Just a few piers down from David and Tom, Diane Hessan, CEO of Startup Institute, requested her first uberPOOL. Excited to try out the new service, Diane hopped in the car on her way to the Startup Institute Summer 2015 Talent Expo. Diane Hessan, CEO of Startup Institute, meeting her uberPOOL driver-partner. What do they all think of this new way to Uber? They give it 5 stars. Join David, Tom, and Diane by jumping in the POOL party today.